Necklaces are magnificent fashion accessories that when matched with the outfit augments a woman’s personality significantly. They are commonly as well as easily accessible jewelry pieces. Usually, necklaces are not only meant to be the finishing touch to apparel but also believed to carry a sentimental significance for the wearer. 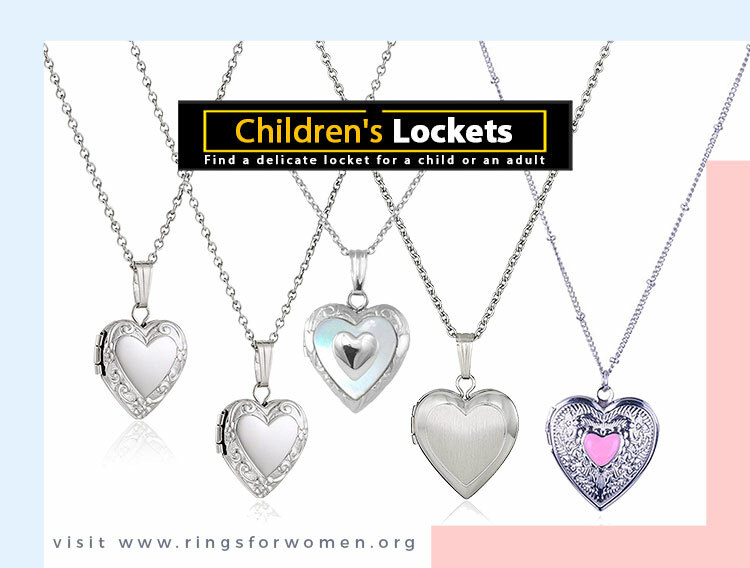 Usually, necklaces are often the first jewelry piece given to a child. While typically considered for women, necklaces are available for any age. 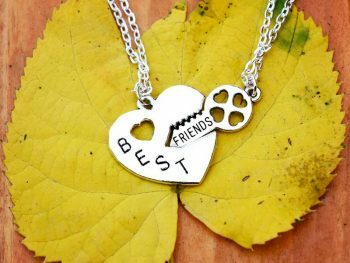 Right from a simple silver chain necklace to a strand of pearls wrapped around the neckline, cross necklaces, and best friend necklaces that teens love, there is a necklace design suitable for each one of us. Indeed, several necklaces for women are available with distinct designs and looks, which can suit different women right from a homemaker to a professional. Apart from that, the choice of necklace also depends on the occasion or purpose for which it needs to be bought. Because necklaces are brought for different occasions and purposes, a well-appointed collection of jewelry tends to include a variety of necklaces, such as a pendant, fashion, diamond necklaces, pearl, gold, rhinestone, designer, and chain designs. However, this diverse collection is the result of the right selection of necklaces. 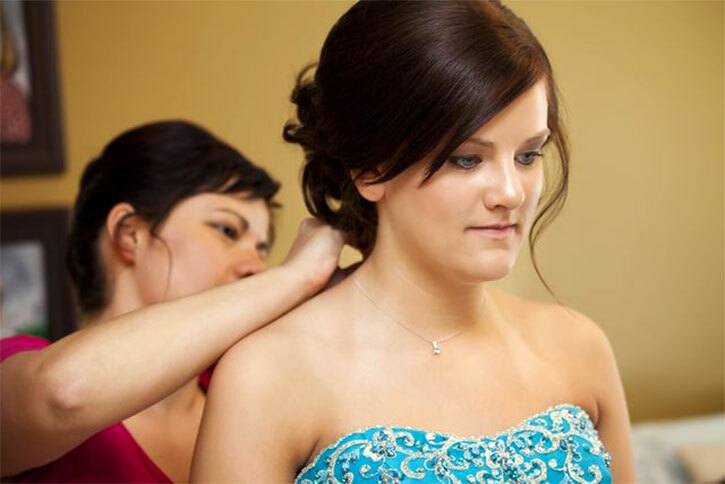 Getting the right neckline piece as per the wearer’s preference, neckline, apparel, and the occasion is essential if the aim is of a stylish appearance. Only such a match can enhance the overall look of the wearer. The right necklace accents the neckline of the preferred attire and round off the appearance precisely. Further, the necklace and neckline must not compete with each other. One must consider a variety of factors while choosing an impressive necklace to match the attire’s neckline. These factors include the necklace type, the chain type, and necklace length. While those chunky and statement necklaces reveal different effects for a variety of social occasions including parties, cross necklaces have religious or spiritual feelings. Similarly, different necklace lengths are available right from short chokers to long operas. Likewise, the style is also important, along with how where and how it is positioned on the neck. For example, necklines such as polo and crew can have any necklace of any style or length, provided the pattern or color is not lost or does not clash with the attire’s color. Other necklines need a little more thought and are choosier when it is the matter of selecting the right necklace. Here are the buying factors described in detail so that you can choose the right necklace in no time. The necklace-type varies as per the length or adornment. By length, women’s necklaces are often classified into the following types. Tip: Before purchasing a necklace, it is wise to measure the length by applying a measuring tape to the neck and holding the ends together at the place where the necklace needs to sit. However, the tip is also dependent on how the material or adornment falls. For example, a pendant on the chain might hang in a heart shape or a V shape, while wired beads never dangle at all. Necklaces are made up of different materials such as pearl beads, wood, silver, gold, platinum, sterling silver, gemstones, and other precious stones or metals. Many of them can hold a blend of metals and semi-precious stones, synthetic accents, and polished shells. Considering these materials in mind, women’s necklaces are often classified into the following types. By adornment, you can have several types: Cross necklaces (with a cross as a pendant), charm necklaces, diamond necklaces, pearl necklaces, name necklaces, monogram necklaces, gold necklaces, sterling silver necklaces, and prayer bead necklaces (wide lasso and religious symbol). 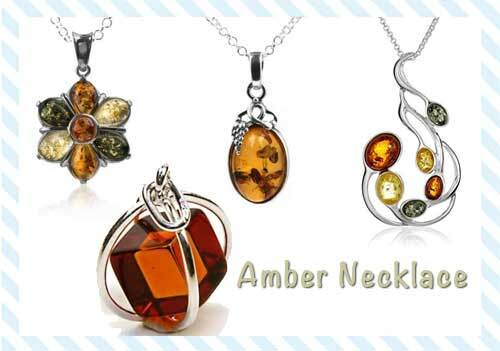 The materials used for necklaces as well as pendants differ greatly. As per the type, design, and style of the pendant and necklace, the metal can be anything from base metal and silver to platinum and brass. If on a budget, white gold necklaces are more expensive than costume jewelry designed to look as fine pieces but made of brass, copper, and nickel and often have gold or silver plating or filling. The filling is longer lasting than plating and does not carry the risk of tarnishing although the color loses eventually. In the case of plating, the underlying metal mixes with gold to make it lose its color or tarnish. Similarly, even the metals for necklaces and pendants tend to vary. In the case of fine jewelry, the metal is usually gold, sterling silver, or platinum. While a casual look is more adorned with costume jewelry, fine jewelry is better for formal occasions. For silver necklaces, consider a ‘925’ hallmark that indicates a maximum amount of pure silver. Because silver is soft, it is mixed with other metals to avert tarnishing and ensure strengthening. In the case of gold, you will come across various colors and carats (purity level). While 24-carat is the purest form, 18-carat indicates 75% purity and 10-carats depicts 41.7% pure gold. The color can be rose, yellow, or white and is always blended with other metals. If you choose platinum, keep in mind that this rare metal is quite costly across the globe. The hallmarks for this metal are 999, 950, 900, and 850, of which 999 is the best with 99.9% purity. If you are choosing from gold or silver chain necklaces that are very common, you are most likely to come across different types of chains. This is irrespective of whether the piece is gold-filled, plated, or silver-plated. Snake: Features tightly connected rings forming a rounded, heavy but bendable build and giving the look of a flexible tube with the snakeskin texture; narrow and delicate; ideal for pendants. Most necklaces measure one of several standard lengths, but you’ll find there’s a huge variation of styles within each length category. If your overall build is larger or smaller than what’s considered average, necklaces will fit you differently. Let the lengths of necklaces you already guide you to new favorites, or go shopping and try on necklaces of different lengths before you order a necklace sight-unseen. Many necklaces have extra links of some kind at one end so that the clasp on the other end can attach in different places to adjust the length. The decorative chains that are often used for ends are attractive when they dangle at the back of your neck. Adjustable necklaces are the good choice when you’re giving a gift and aren’t sure which length to buy. A clasp can add 3/4″ or more to length. 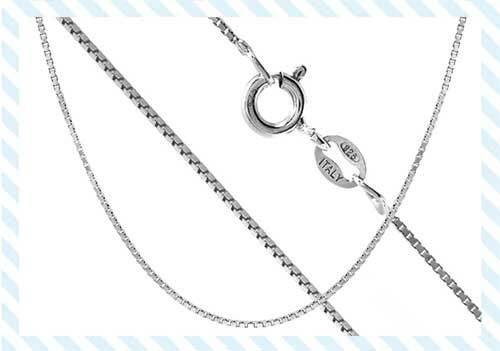 When you’re shopping online read descriptions carefully to find out if clasp lengths are included in the overall length given for each necklace. Here is our pick of top 10 necklaces along with their reviews. After going through the aforementioned factors including the neckline type, we hope that you now have gained more confidence in selecting the right necklace. In fact, we think that you have already come across the necklace of your choice, isn’t it? 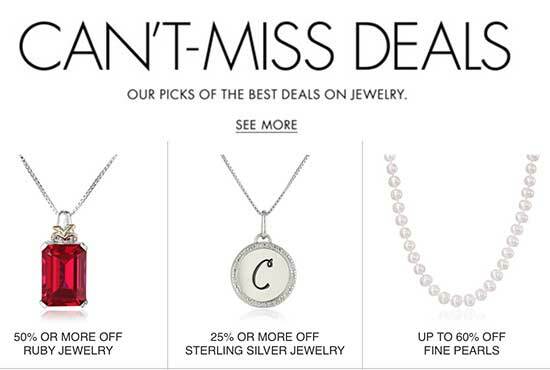 If not, click here for reviews of other necklaces to make an instant choice now! Every time you look for necklaces, consider it as a new opportunity to look for a new style! Wherever you look these days, some of the most exciting costume jewelry sported by women are necklaces. Exquisite design and the use of unexpected materials combine to make this jewelry unique in the market. Whether your choice is a simple sterling silver pendant or a half-dozen intricately woven and decorated pieces of various lengths entwined around your neck, the results are inevitably breathtaking. Seeds and wood bark may be combined with amber and turquoise in one brilliant necklace while Jade, Jasper, and pearls might be strewn along a chain of polished sterling silver in another. Every necklace evokes a sensory delight. Natural elements like coral and coconut shells give the wearer a sense of oneness with earth and sea, while shimmering silver, pearls, and chalcedony might combine in an unpredictable symmetry that draws the eye and demands attention. The inspiration for the intricate designs may come from anything from a flower to a skyscraper, while each piece is executed with care, close attention to detail and a drive for perfection. The fact is, regardless of where you find them, necklaces are nothing short of magical in the way they can transform both an outfit and the mood of their wearer. The instant a woman slips one of these masterpieces around her neck, she achieves an aura of confidence that turns heads wherever she goes. There are colors and textures to complement everything in her wardrobe so that the plainest outfit becomes runway-worthy and the severest office suit turns into evening wear with the simple addition of a handful of necklaces for women as worn by the smartest, most style-conscious women. August 4, 2018 // by Kellie W.
March 30, 2018 // by Kellie W.
March 23, 2018 // by Kellie W.
March 4, 2018 // by Kellie W.